I've not worn any orange for a very, very, very long time. It isn't really my colour, y'see, but I decided to try out this possibly ancient bottle of Constance Carroll 238 Squash because it looked interesting as it had a green shimmer to it. Oooh. 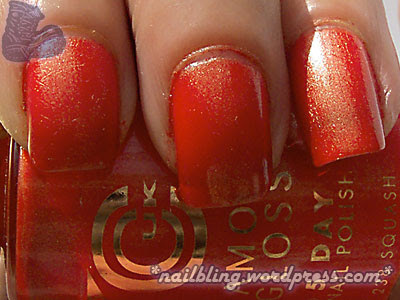 The green shimmer that made it interesting didn't show up at all on the nails, making this orange a bit boring, really. 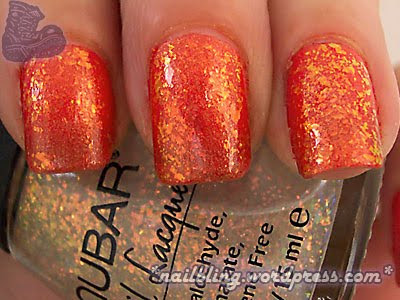 I decided to chuck some Nubar 2010 over it, and suddenly, my fingers looked aflame like I was some sort of superhero, or something.